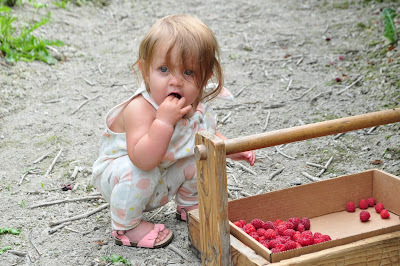 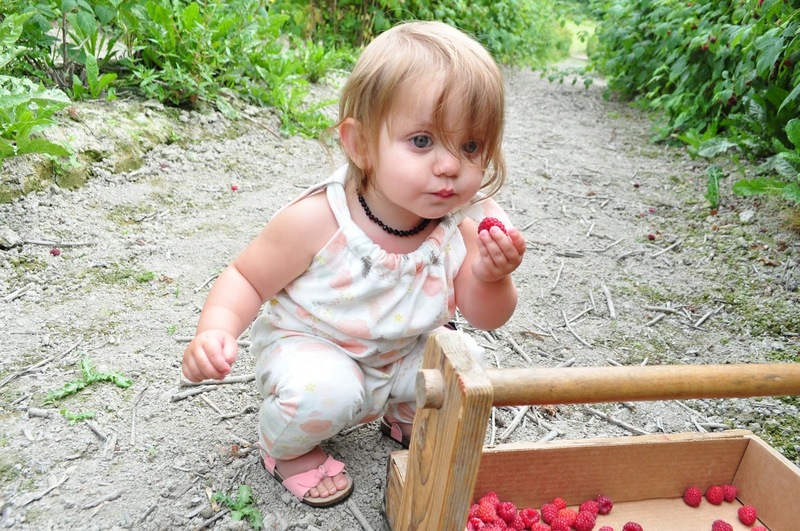 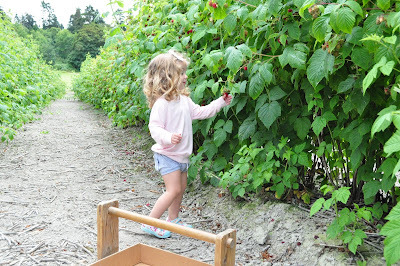 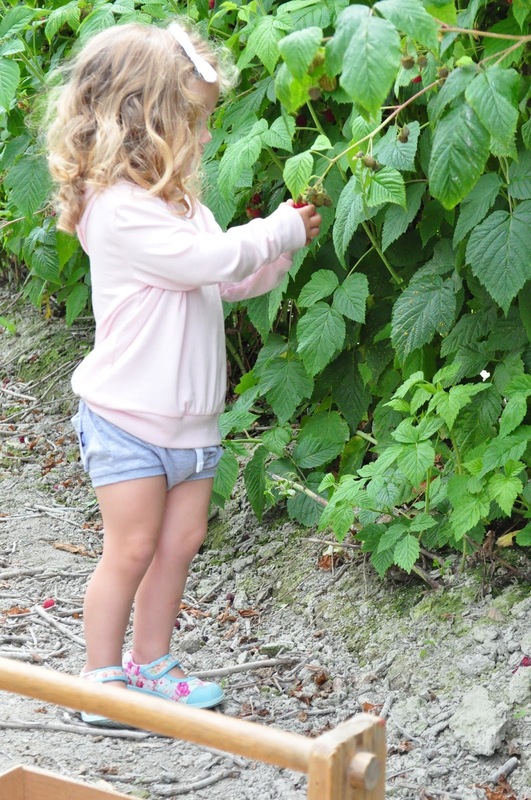 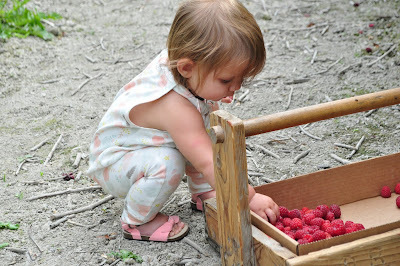 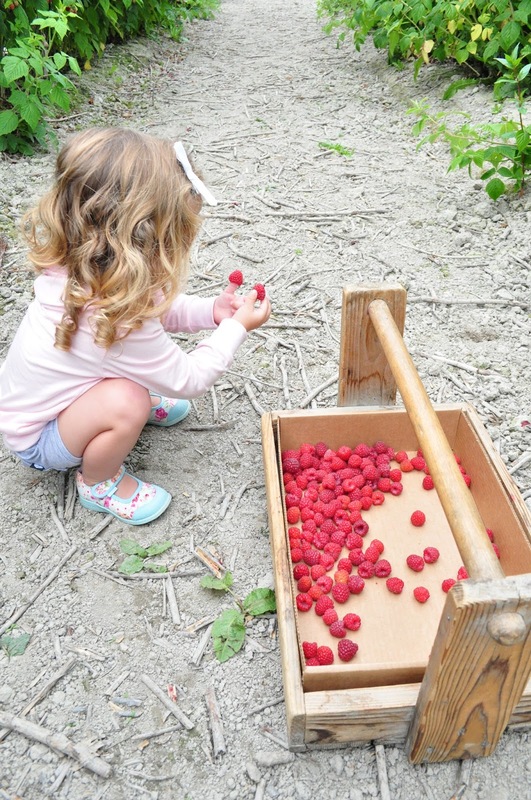 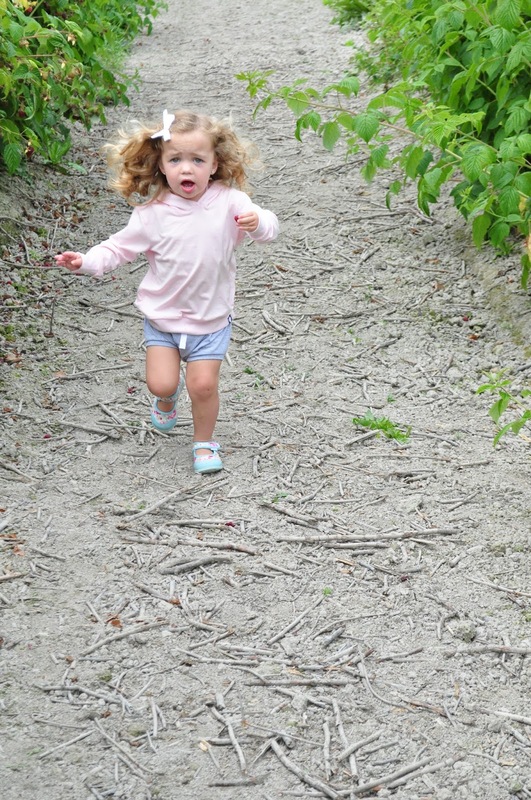 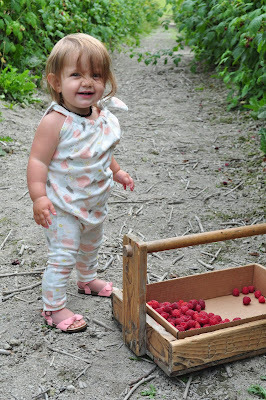 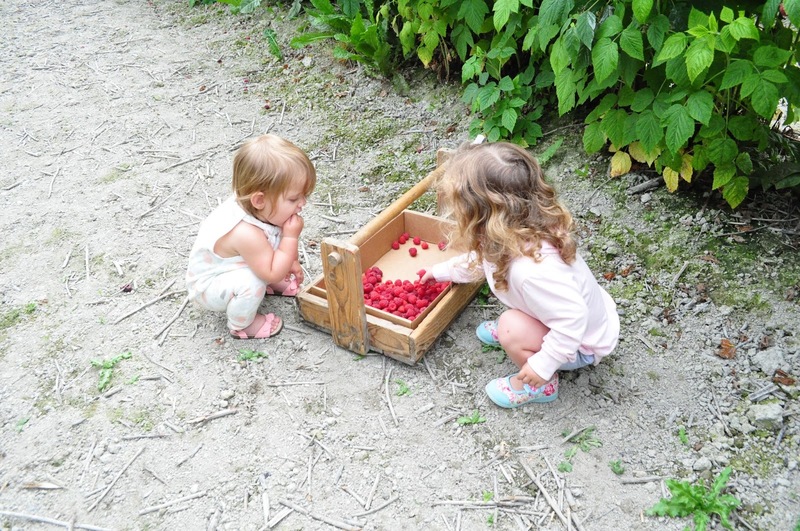 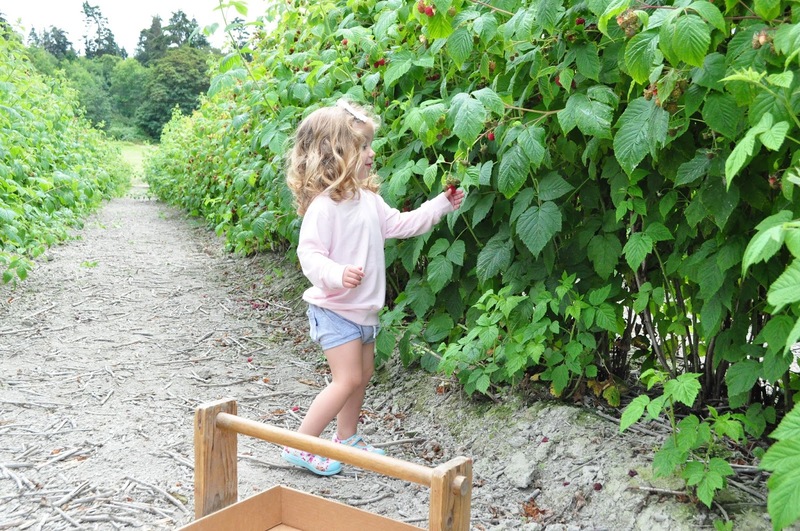 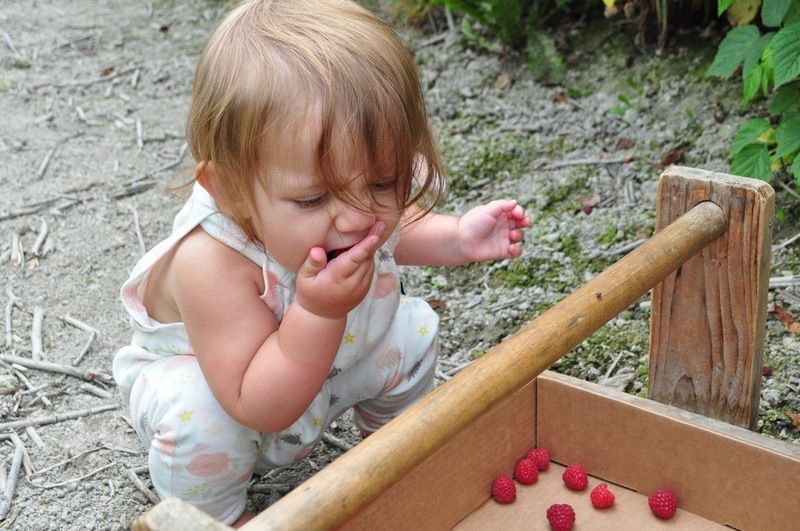 A little over a week ago we took the girls berry picking, a tradition we have made an effort to start in our family. I think it is so important to create memories with the girls so they can look back on their childhood and smile at all the things we did as a family. 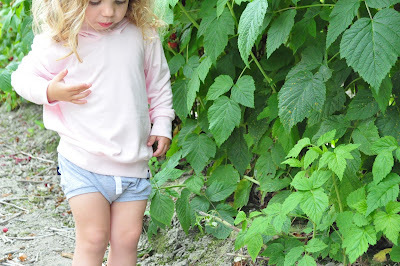 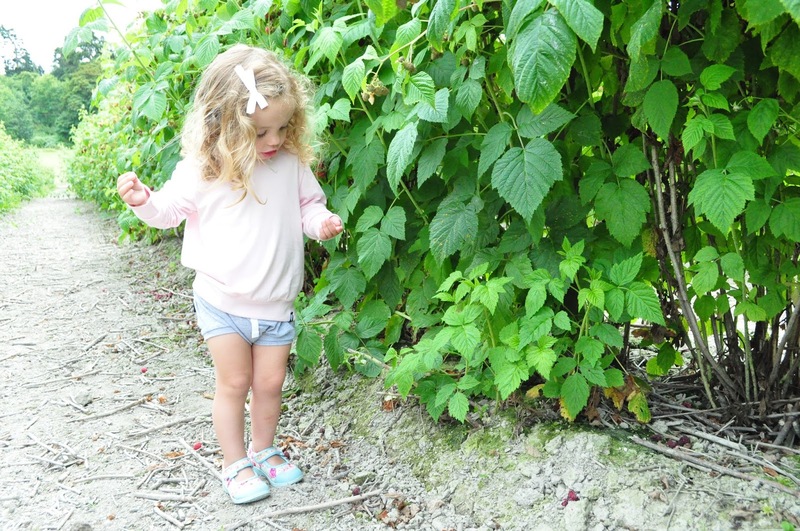 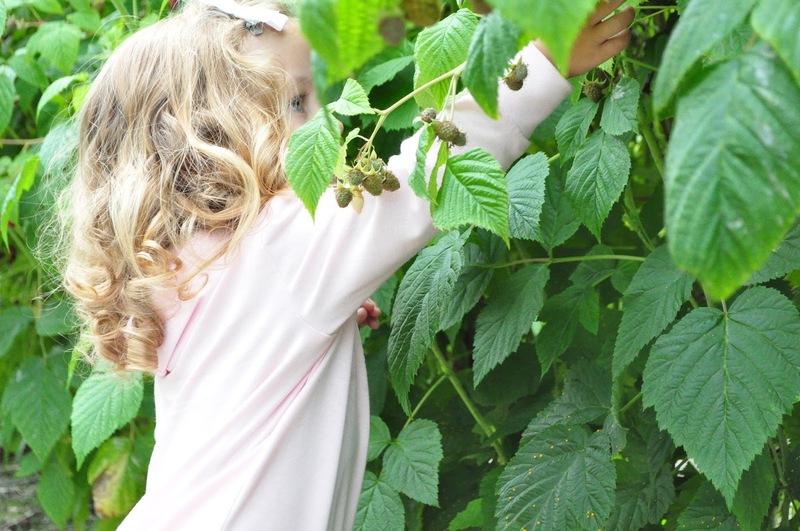 I definitely didn't think it through when I dressed the girls in their new outfits from Tiny Button as we went to pick ripe red berries but somehow we made it out of this adventure stain free. 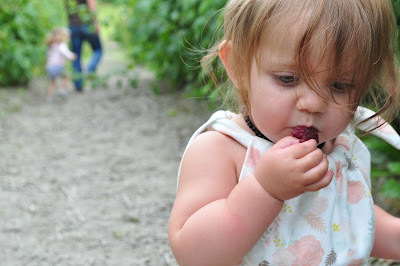 I also was able to snap the sweetest photos of the girls while they did their thing and I love how they turned out, so much so that some of these will be framed. Lilly shorts and sweater are such a lightweight material that is perfect for summer. 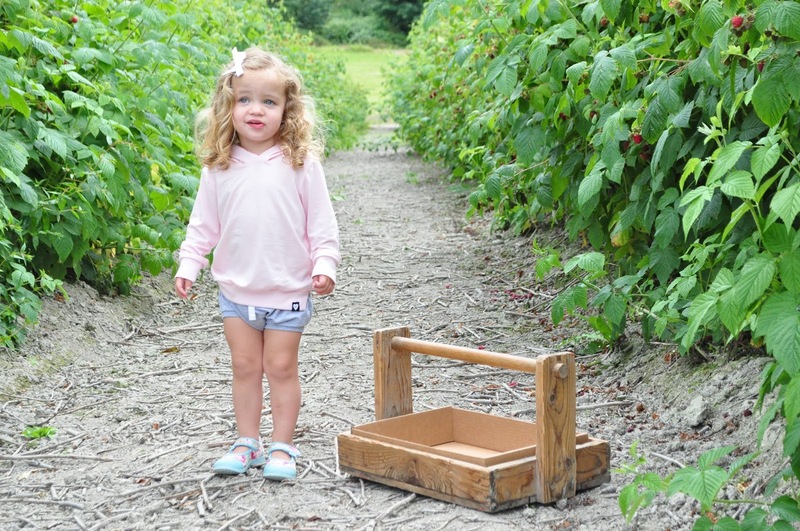 But seriously those short shorts are almost more than I can handle. She looks like such a big girl. 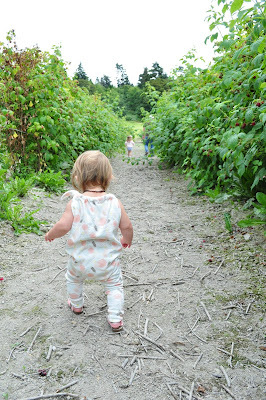 It is no secret that I am a huge fan of floral and the floral romper looks perfect on Piper. 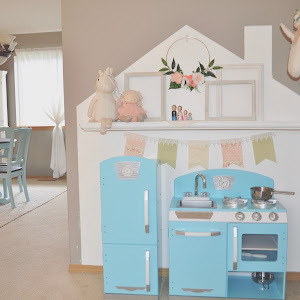 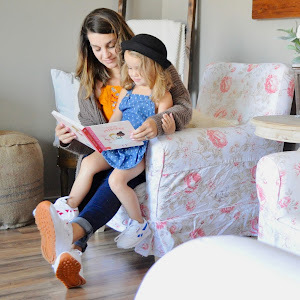 I am seriously so obsessed with the girls outfits from Tiny Button that I am offering y'all a discount! Use bitsofus20 at checkout until July 25th for 20% off your order.